Samshield helmet Shadowmatt is a classic helmet version from this producer. Its shell is made from black, scratch-resistant polycarbonate. Top of this helmet is covered with Shimmer material, which was made from polished and then pressed Italian leather. Shield and trim are in black chrome colour. The inner side of the helmet is covered with polystyrene of varying thickness, which absorbs the energy produced during impact and effectively distributes it. Under the shield there is a discretely hidden air inlet. The outlet is on the back of the shell. 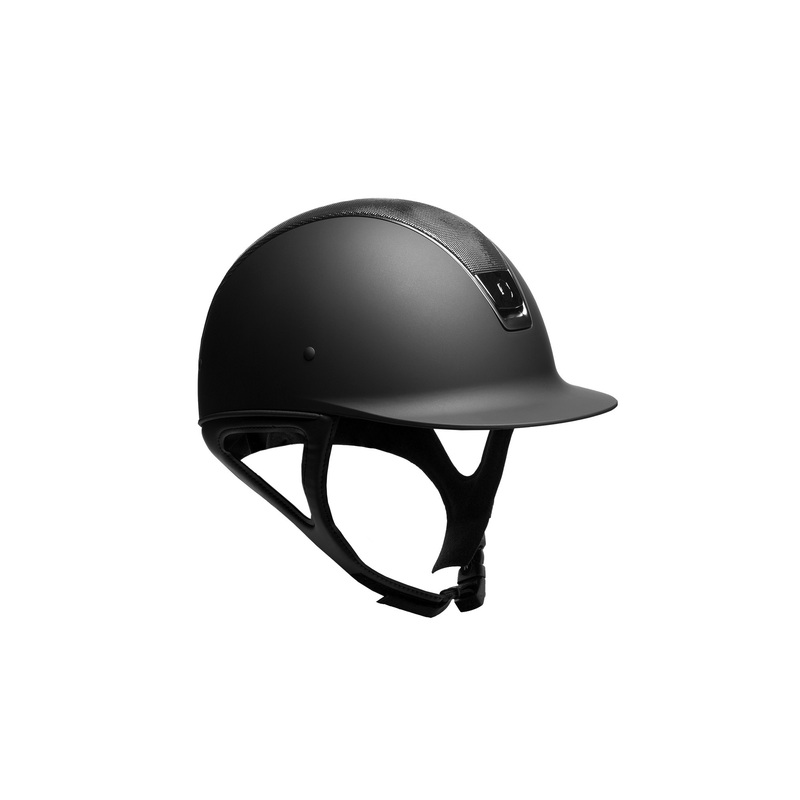 Such construction of the ventilatory system allows for efficient carrying heat excess to the outside, due to which riding with this helmet will be pleasant even on the hottest of days. There is a liner of special sponge attached on studs to the inside of the helmet. The memory shape sponge adjust to the rider's head shape. The liner can be washed in 30 degrees Celsius, which allows to keep it clean. 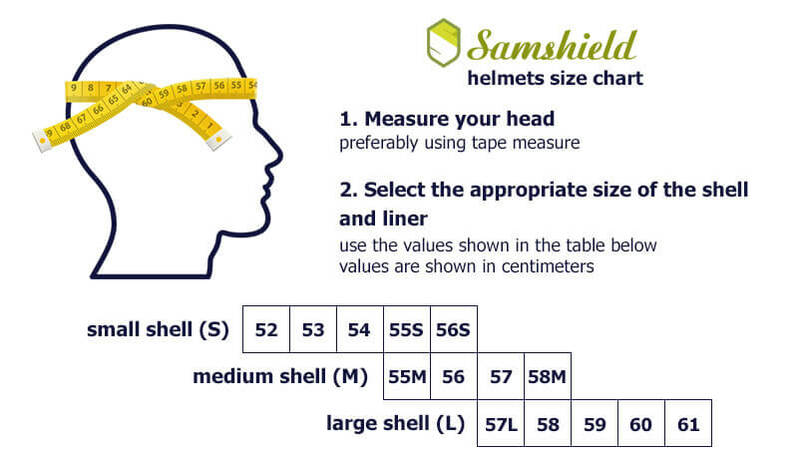 Shape of the shell and construction of the helmet provide protection of the most delicate head parts. Application of materials of the highest quality along with hand-made trimming guarantee high quality of the product. 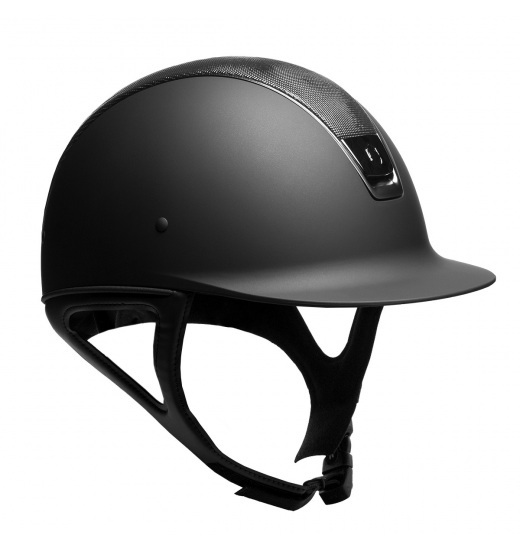 This helmet will surely meet expectations of the most demanding riders.